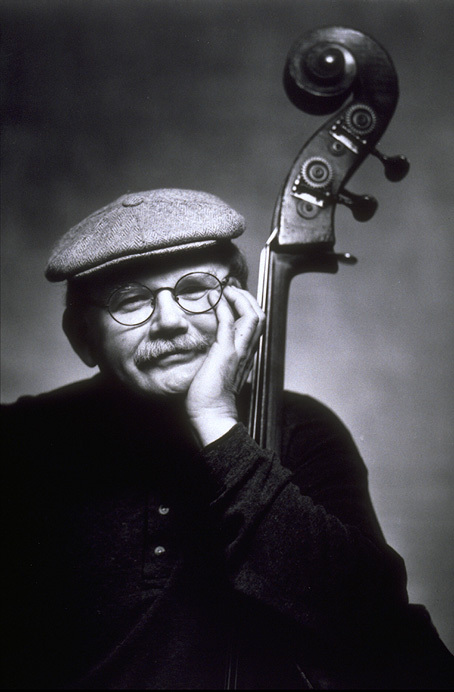 Jazz bassist Putter Smith and his wife, singer VR Smith, have devoted their lives to music and the arts. The music room in their South Pasadena home is filled with instruments, original artwork, and oriental rugs; a welcoming refuge from the hustle and bustle of Los Angeles. Putter is a Southern California jazz legend who has worked with an astonishing array of great musicians including: Thelonious Monk, Art Blakey, Duke Ellington, Billy Eckstine, Diane Schuur, Lee Konitz, Bruce Forman, Jackie and Roy, Carmen McRae, Gary Foster, Art Farmer, Blue Mitchell, Erroll Garner, Gerry Mulligan, Art Pepper, Mason Williams, Percy Faith, Burt Bacharach, Ray Charles, The Manhattan Transfer, and Johnny Mathis, to name but a few. He worked steadily in the Los Angeles rock and roll recording scene, playing on classic records by Sonny and Cher, The Beach Boys , The Righteous Brothers and many more. Putter had a brief acting career, playing the villainous, “Mr. Kidd” in the James Bond film, Diamonds Are Forever . He is highly sought as a performer and teacher and is currently on the faculty at the California Institute of the Arts in Valencia. VR Smith began singing in the Los Angeles area over ten years ago and has recorded two CDs of jazz standards, 2004’s VR & The Cafe Beaujolais Band, Lost and Found and her 2009 recording, Beautiful Love, both available at CD Baby. VR acted in improvisational theatre for many years before beginning her singing career. “We did workshops in colleges.” VR says. “Robin Williams came out of one of those. He had so much information he could just incorporate into his “in-the-moment” spiel. (We) always felt like we had really done something there.” VR began singing regularly in a band with Putter and guitarist Dave Koonse at The Cafe Beaujolais In Eagle Rock. “We worked there for six and a half years and brought a lot of people in.” VR says. “The food was great and we were in the newspaper every week.” In those days the LA Times reported on jazz in the weekly Calendar section but has since dropped local coverage. Putter and VR met when invited by friends to witness the first performance of The Beatles on The Ed Sullivan Show. “Neither of us had ever heard of The Beatles.” says Putter. “We were into Charlie Parker!” VR adds. Does Putter play in LA often? I would love to see him play, but I never know where to look to find out if and when he's playing. Studied with Putter in the early 90's at BIT …very sweet guy and full of knowledge. Methodical and creative in the same breath. Lots of guys didn't seek him out b/c he wasn't rock and roll…their loss. Putter is a great guy with a deep knowledge of jazz and love for music.